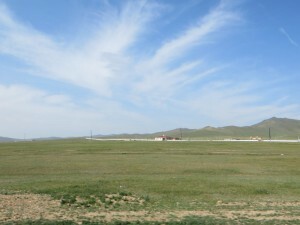 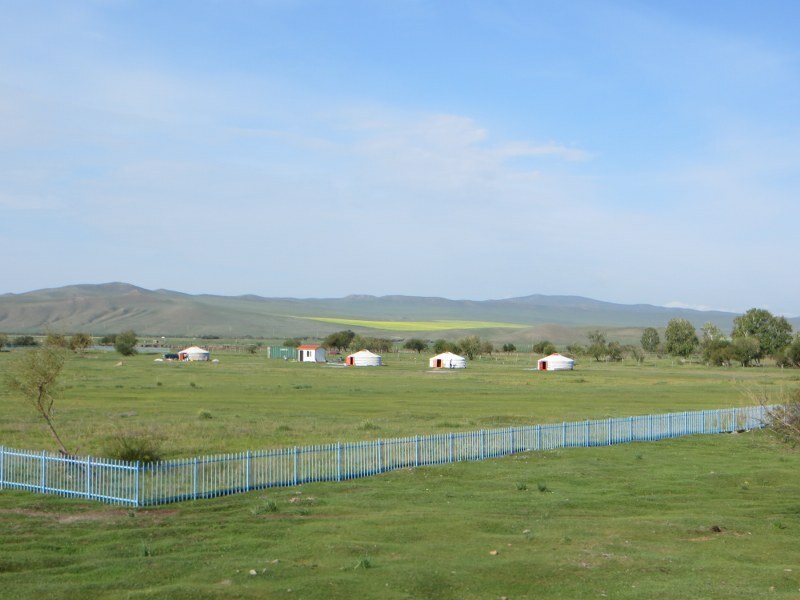 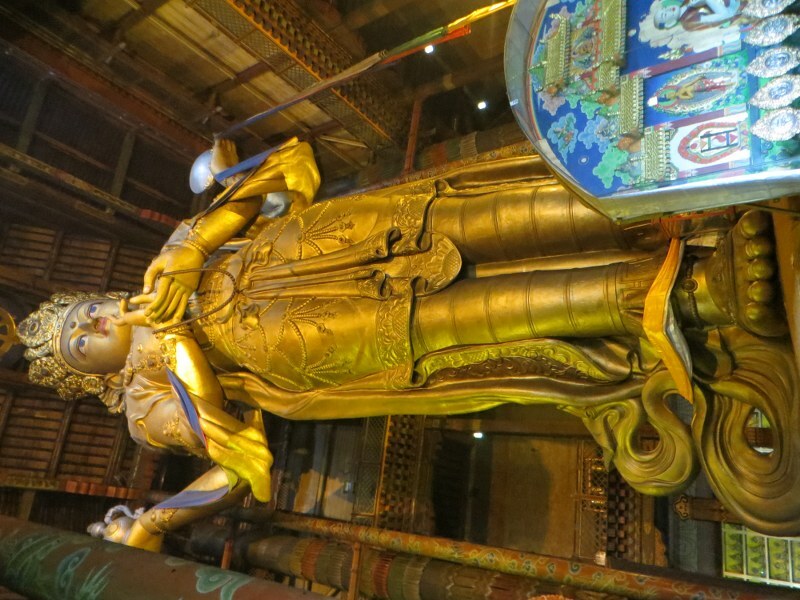 It was a quick visit into Mongolia, leaving from Ulan Ude in Russia and heading direct to Ulaanbaatar rather than tackling the more difficult tracks from the west. The two-day ride to the capital was through verdant green pastures, with contented animals grazing on the lush grass. 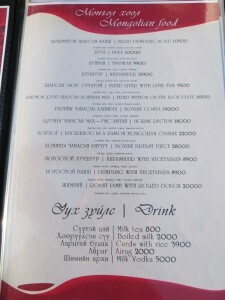 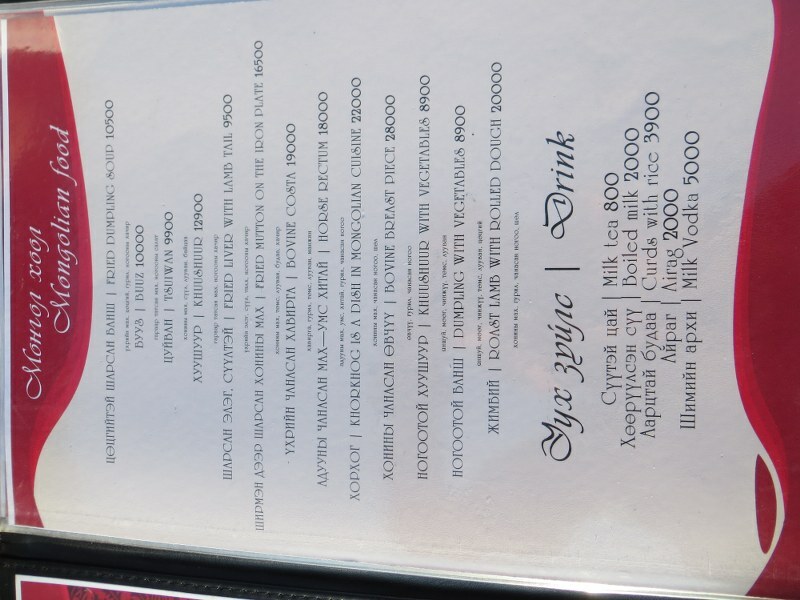 And there was some rather unusual food on the menu. 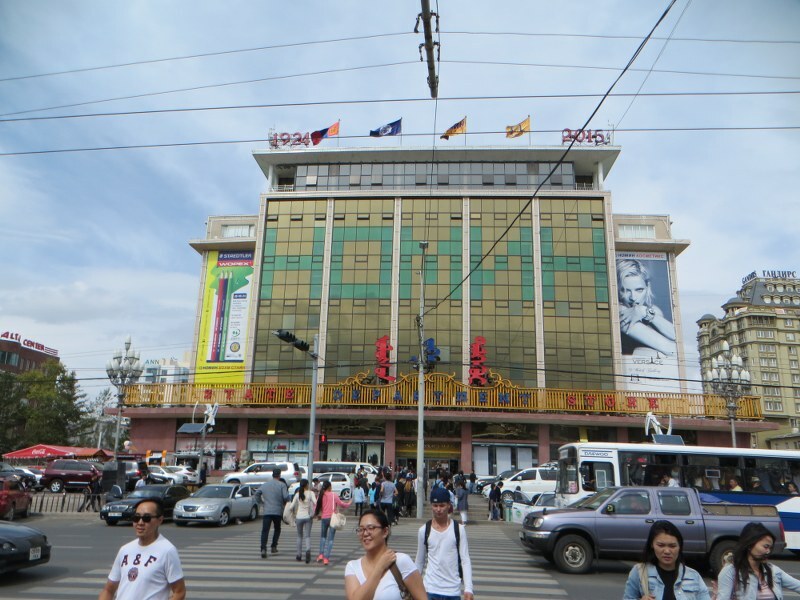 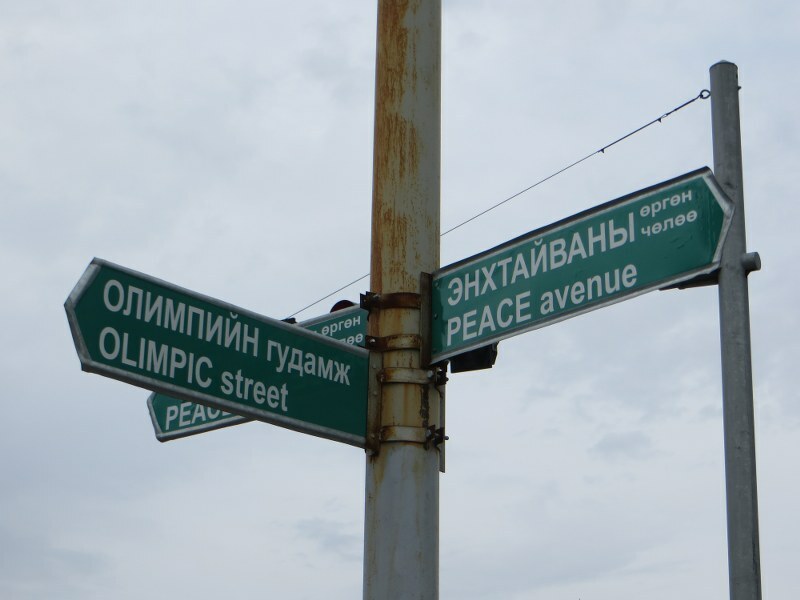 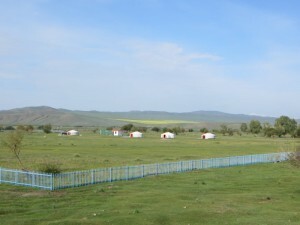 Ulaanbaatar is a mix of the modern and the historic. 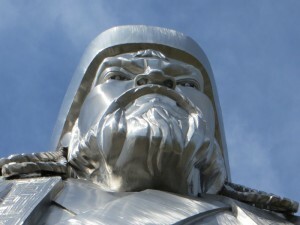 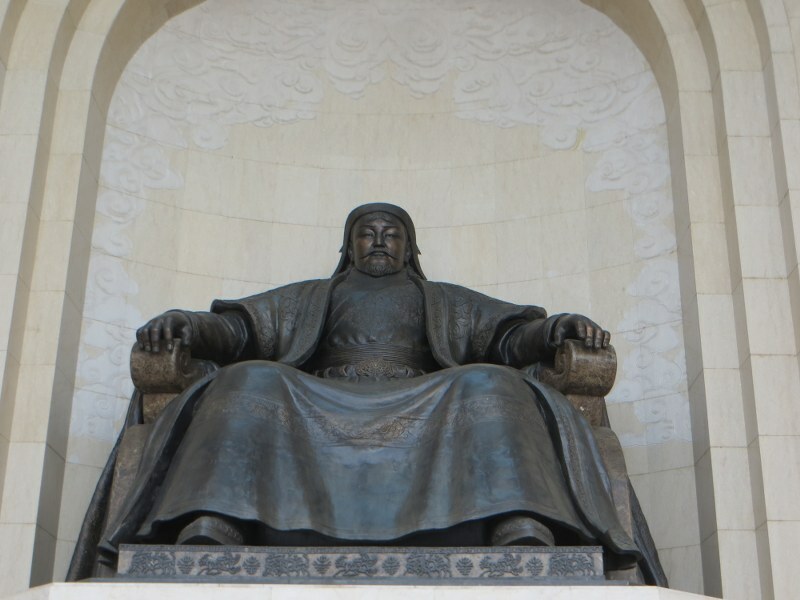 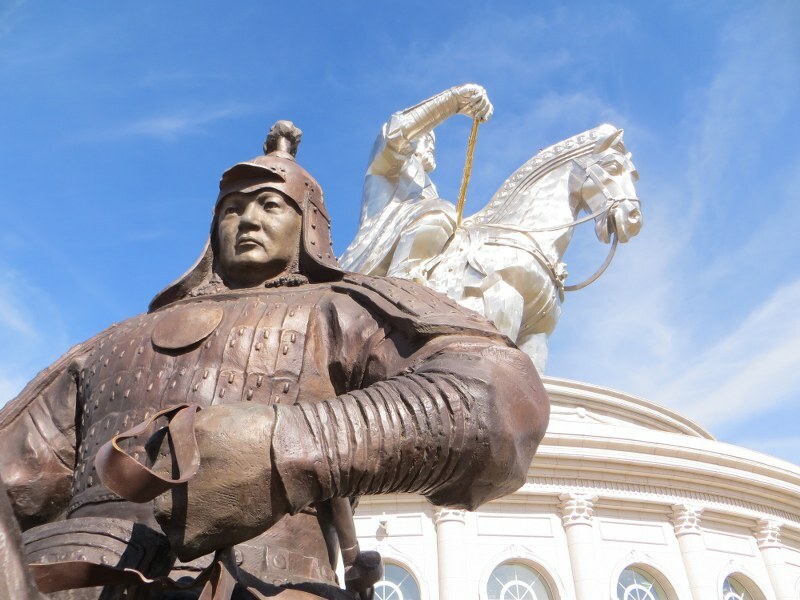 The main square has been renamed to honour Genghis Khan with statues of him and his loyal servants. 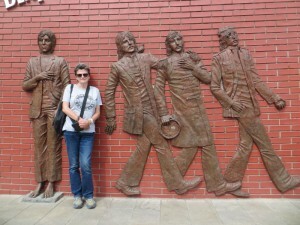 Even Shirl’s favourite band of all time, The Beatles, are immortalised with their own square. 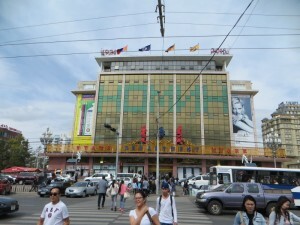 It’s just off the main drag – Peace Avenue – opposite the State Government Department Store. 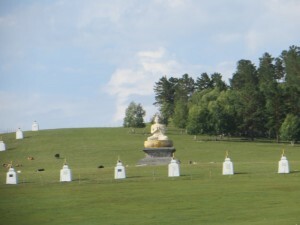 A monastery on the edge of the city has a large community of monks and has been rebuilt, including the statuary, since the fall of communism. 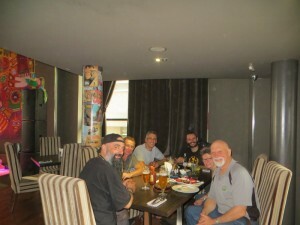 Ricardo, Elad and Bryn, the trio we last saw in Barnaul, were in town so we caught up at a terrific restaurant – Mexikhan. 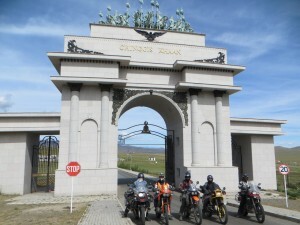 They arrived with Mihai, a biker from Romania we met in Dushanbe in Tajikistan. 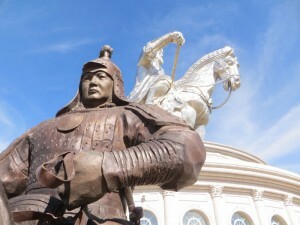 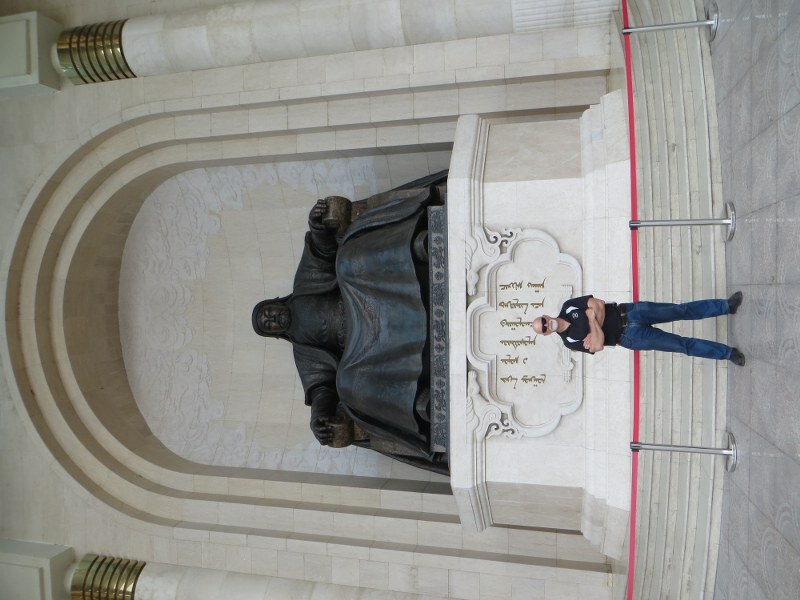 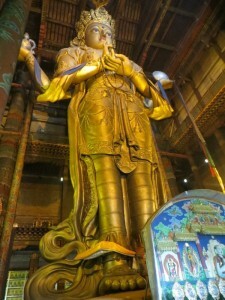 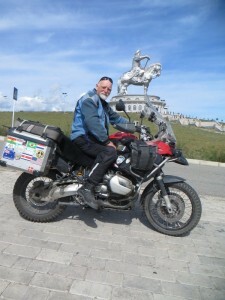 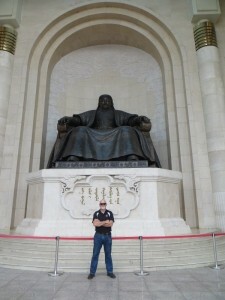 We took a ride out of town to the Genghis Khan statue. 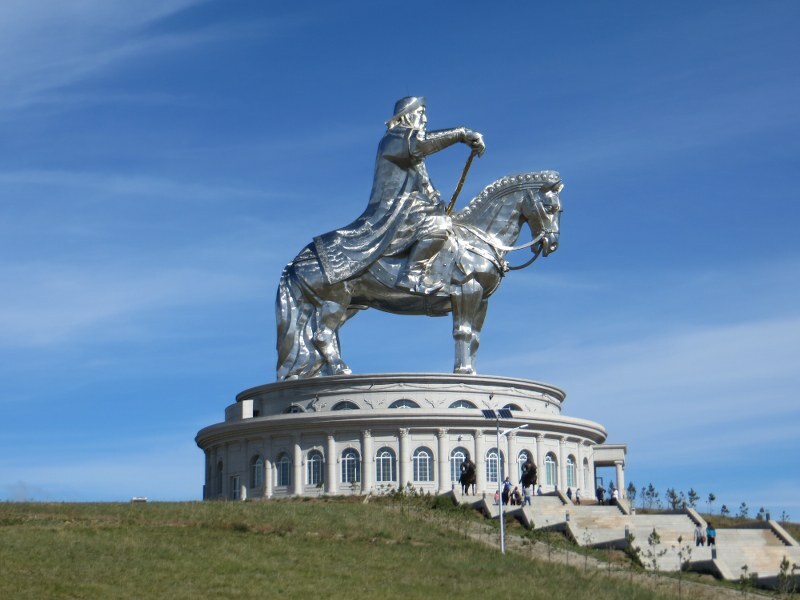 Its stands 40 metres atop Signal Hill, a spot Genghis used to get messages to his troops. Made of stainless steel it shines over the countryside. You can climb into the horse’s head for a different angle and a great view. 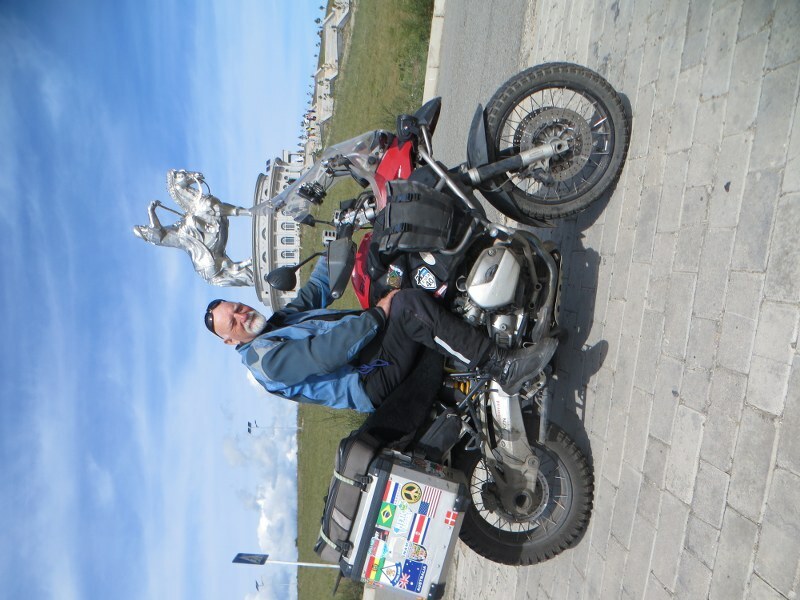 It was worth the effort to head down to Mongolia, but now we must hightail it through Siberia to get to Vladivostok before winter sets in. 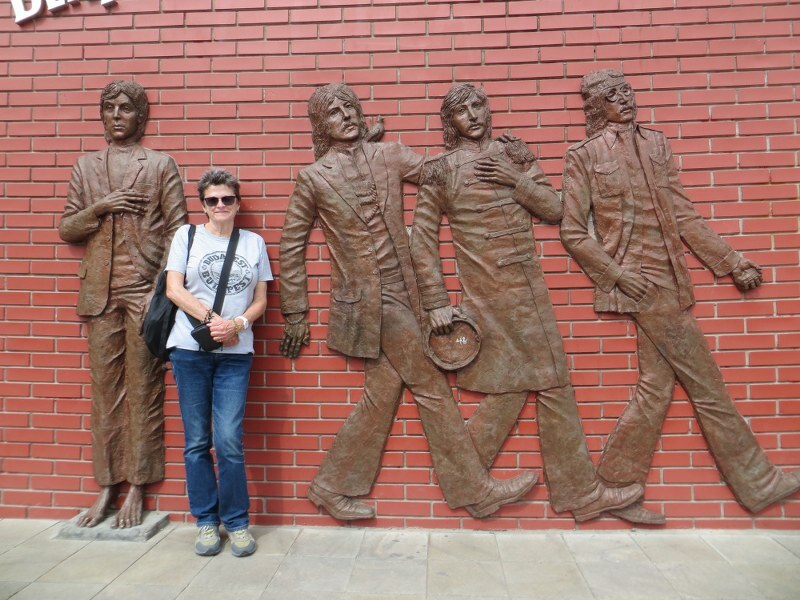 We’re on the last leg of our journey before heading home.